The Aquarian Theosophist, June 2012, Spe. Is. The Aquarian Theosophist, August 2006, Suppl. The Aquarian Theosophist, March 2006, Suppl. The Aquarian Theosophist, October 2005, Suppl. The Aquarian Theosophist, August 2005, Spe. Is. The Aquarian Theosophist, August 2005, Suppl. The Aquarian Theosophist, January 2005, Suppl. The Aquarian Theosophist, October 2004, Suppl. The Aquarian Theosophist, August 2004, Suppl. The Aquarian Theosophist, March 2004, Suppl. The Aquarian Theosophist, January 2004, Suppl. The Aquarian Theosophist, August 2003, Suppl. The Aquarian Theosophist, March 2003, Suppl. The Aquarian Theosophist, January 2003, Suppl. 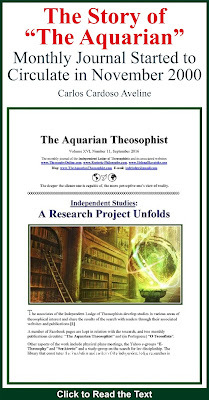 The Aquarian Theosophist, October 2002, Suppl. 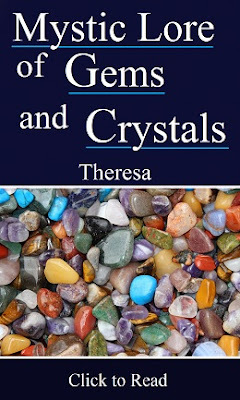 The Aquarian Theosophist, August 2002, Suppl.